The program of the Elgin High School Gifted and Talented Academy consists of a school-within-a-school designed to meet the needs of academically gifted students in Elgin School District U-46. A maximum of fifty students per year is accepted into the freshman class of a program that offers enriched, integrated curriculum and a wise spectrum of Advanced Placement classes. 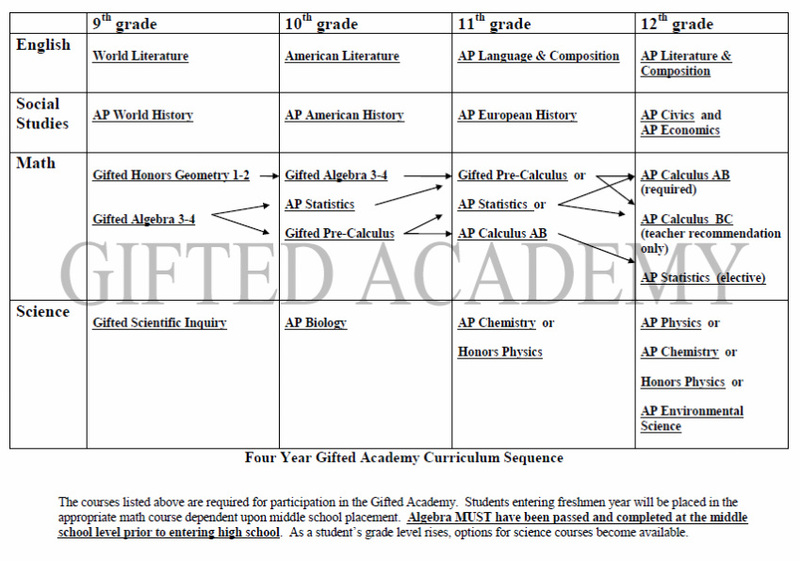 Students apply to the Academy during the autumn of their eighth grade year. Selections are based upon scores of standardized tests, the Watson-Glaser Test of Critical Thinking, a writing sample, portfolio of best work, and teacher recommendation. Upon admission to the Academy, students must maintain grades of “C” or higher in their core Academy courses in order to remain a part of the program.